Our latest guest blog is from Oyster Studios, a design and advertising agency who specialise in creating marketing campaigns that are customer focussed and deliver results. To view a selection of cross sector marketing campaigns take a look at their website www.oysterstudios.com. In today’s challenging economic climate implementing an effective marketing campaign involves communicating with your target market with compelling content across a multitude of relevant channels both on and off line. You should aim to engage with your prospects across a variety of touch points and ensure you are ‘front of mind’, and at the right time, right place when the need for your product or service arises. The real challenge is how do you reach your prospective target audience in an effective way that makes you stand out from the competition, raising brand awareness and driving sales. Today, prospects are bombarded with marketing messages and it’s hard to rise above the “white noise” and make a real impression on the market place. Interestingly in many respects things are turning full circle and traditional direct marketing tools like telemarketing and direct mail (D.M) have greater stand out and are likely to deliver strong brand engagement. In fact developing an innovative, well-designed piece of direct mail, with a striking headline, interactive, fold out or 3d format will have real impact when it lands on a customer’s doormat or prospect’s desk. Printed handouts and direct mailers are great value, effective marketing tools if they are properly targeted and well designed. The challenge is ensuring that your headline and message are relevant and engaging and drive a call to action to prevent it from going directly to the recycling bin. You need to really grab the reader’s attention and entice them into reading more, by combining a great headline with an even better image or graphic for both verbal and visual impact. It’s vital that the design of the D.M is relevant to your audience and that the look and feel reflects your brand values. It’s also important to ensure the content and tone of voice in the copy is targeted to your prospect and promotes the benefits of your product or service. In addition to ensuring the D.M is well designed, it is really important to actively follow up the D.M with a well timed, professional phone call to qualify interest, arrange appointments and ultimately drive sales. 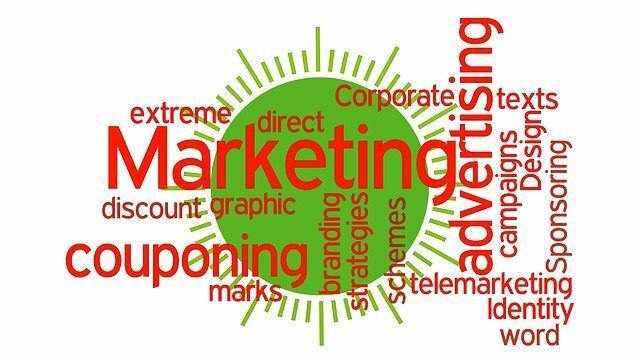 Developing successful marketing campaigns continues to be a challenge but it’s important not to overlook traditional direct marketing methods, when reviewing and updating your marketing plans! Is Poor Content on Your Website Hampering your Lead Generation?